Democratic Socialism has surged in popularity in the past two years, but what is it and how does it affect the community? 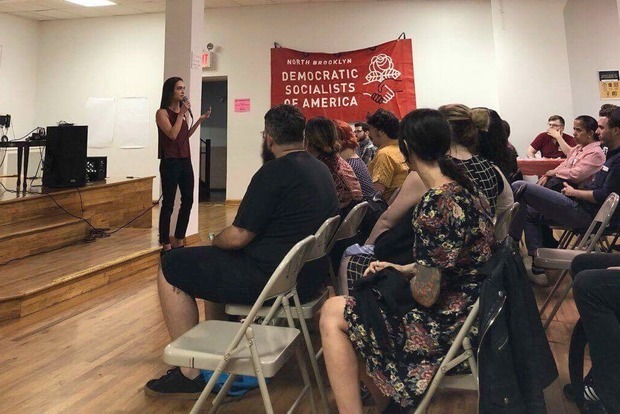 Bushwick Daily spoke to the North Brooklyn Chapter of Democratic Socialists of America spokesperson Justin Charles to learn more about the group and what it’s working to do. What is democratic socialism and what policies does it advocate? To me, Democratic Socialism, is the people in power, a true democracy. It's a better world in which housing and healthcare, as well as other necessities for a dignified life, are treated as human rights. It's a world in which my value is my humanity and not what my boss or landlord can extract from me. What does the North Brooklyn Chapter of the DSA focus on? How many members does it have and when did it start? 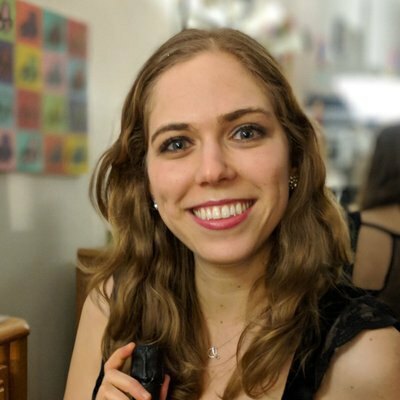 The North Brooklyn branch of NYC-DSA started in June of 2017 when the Brooklyn branch grew too large to function effectively and democratically. We split into three branches, North, Central and South Brooklyn. Last I checked we had about 800 members in North Brooklyn alone. Our branch currently has two priorities: Tenant Organizing and Electing Julia Salazar to the State Senate. The supply of rent-stabilized units in North Brooklyn continues to shrink while market rates continue to rise dramatically. Tenant neglect and harassment are all too common. North Brooklyn is home to several properties owned by landlords on the Public Advocate’s Landlord Watchlist. Long-time residents, often people of color, are being displaced rapidly. State rent laws will also expire in 2019. So we’re working to help our members and the general public to organize tenant associations in their buildings, as well as inform them of their rights as tenants. Julia Salazar is with us on this fight for tenants in North Brooklyn. She’ll work to end policies that facilitate gentrification and to advance legislation for deeply affordable housing. She’s with us on all the issued important to this organization and the branch is fully behind her. 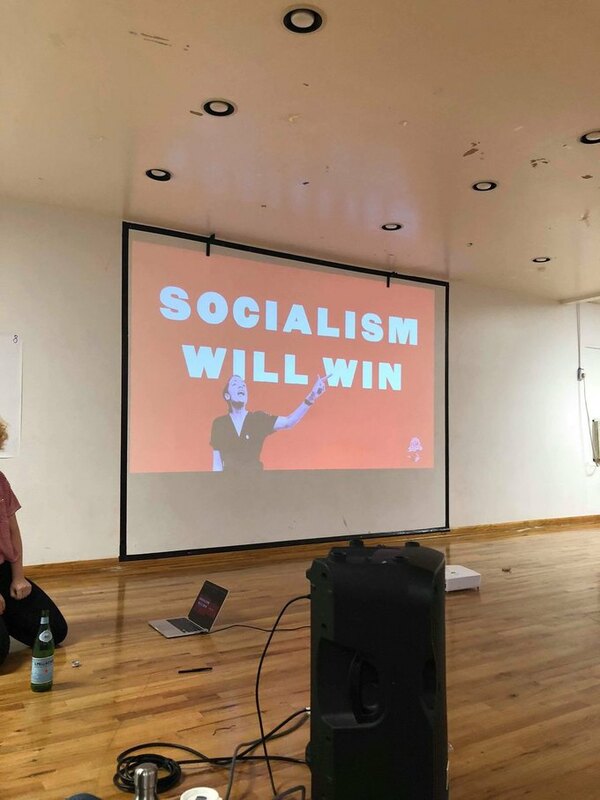 What drew you personally to New York DSA? When and how did you join? I started hearing more and more about DSA around the 2016 primary as the organization got a bump from the Bernie Sanders campaign and thought it sounded interesting. When Trump won, I had a kind of political existential crisis and realized I needed to make the building of the kind of world I wanted more central to my life. I’d also grown disenchanted with the Democrats and their half-measures, their allegiance to donors over constituents. The more I read about DSA, the more it sounded like a political home for me. After the Muslim Ban and the airport protests, I went to a meeting in Brooklyn and I’ve been all in ever since. There are NYC-DSA events every day. Our calendar is jam-packed. Whether it’s canvassing for Julia Salazar’s campaign, or the protection of our immigrant communities, or learning about your rights as a tenant, or a variety of other issues, there’s something for everybody. If people want to get involved and would like to know how, they should email us at north.brooklyn@socialists.nyc and we’ll help get you situated. Why do you think Democratic Socialism is surging in popularity in New York City right now? I think Democratic Socialism is surging in New York City because our political system, and the establishment which inhabits it, has repeatedly shown itself to be much more invested in the interests of millionaires and billionaires, of landlords and real estate developers, than those of everyday New Yorkers. Inequality grows more and more apparent. What is the DSA view on capitalism and its role in modern society? Capitalism is fundamentally antithetical to democracy. It necessitates the impoverishment and exploitation of working people, so that the wealthy can accumulate more than they’ll ever need many times over. It knows that it’s vastly outnumbered, and seeks to divide the working class along cultural and racial lines. It’s a bottomless pit of extraction, sucking up resources with the ultimate price of a climate crisis that endangers us all. They don’t want us to vote. Let’s not give them what they want. What are the major issues for the upcoming election that will affect East Williamsburg, Bushwick and Ridgewood? Housing, housing, housing. State Senator Martin Dilan helped pass vacancy decontrol in 1994, the driver of New York City’s sky-high rents. He also wouldn’t support a repeal of it in 2010. We have Dilan to thank for the displacement currently happening all over this district. He’s accountable to his real estate developer donors, not the people of North Brooklyn who desperately need truly affordable housing. There’s the questions of criminal justice reform and ending broken windows policing, ending the threat of ICE to our immigrant communities, universal healthcare in the form of the New York Health Act, reproductive justice and the Reproductive Health Act, transitioning to 100% renewable energy, the impending L Train shutdown and our archaic, underfunded transit infrastructure, and lots more. A vision for the kind of New York we all deserve is on the ballot in this election and Julia Salazar stands by and will fight for that vision. There's been a surge of prominence for DSA after the primary victory of Alexandria Ocasio Cortez. How is your chapter working to support other DSA candidates like Julia Salazar and encourage more people to run for office? Right now our chapter is engaged in a spirited debate about whether or not to endorse in the Democratic gubernatorial and lieutenant gubernatorial primaries. We won’t know that outcome until Sunday the 29th. Beyond those races, I’m sure members of our Electoral Working Group will be thinking about the other local races coming up soon. Could you speak to the diversity of people involved with Democratic Socialism, Salazar and Ocasio are high profile and relate to a large NYC demographic... but does the rest of the group do the same? Demographically, the organization is majority white and male. That’s just a fact. But when I look around at my fellow members who are deeply involved in our work I see many women driving this organization. I see people of color, myself included, in positions of responsibility and leadership. We have work to do to make this organization’s make-up reflect New York’s working class and it won’t happen overnight but we’re committed to that goal. Voter turnout in primaries and midterms is historically low. Why is it important to participate in these elections? New York’s voting laws are some of the most suppressive in this country. This is not accidental. Low turnout lets the establishment do what it wants. In a year where many have awakened politically, we must absolutely drive up turnout many times over. We see from Alexandria Ocasio-Cortez’s race what happens when the electorate is inspired. They don’t want us to vote. Let’s not give them what they want. Please note that the answers above reflect the opinions of the interviewee. If you would like to submit an op-ed or have any information and tips that would be useful to our readers for the upcoming elections this fall, please reach out to Bushwick Daily.